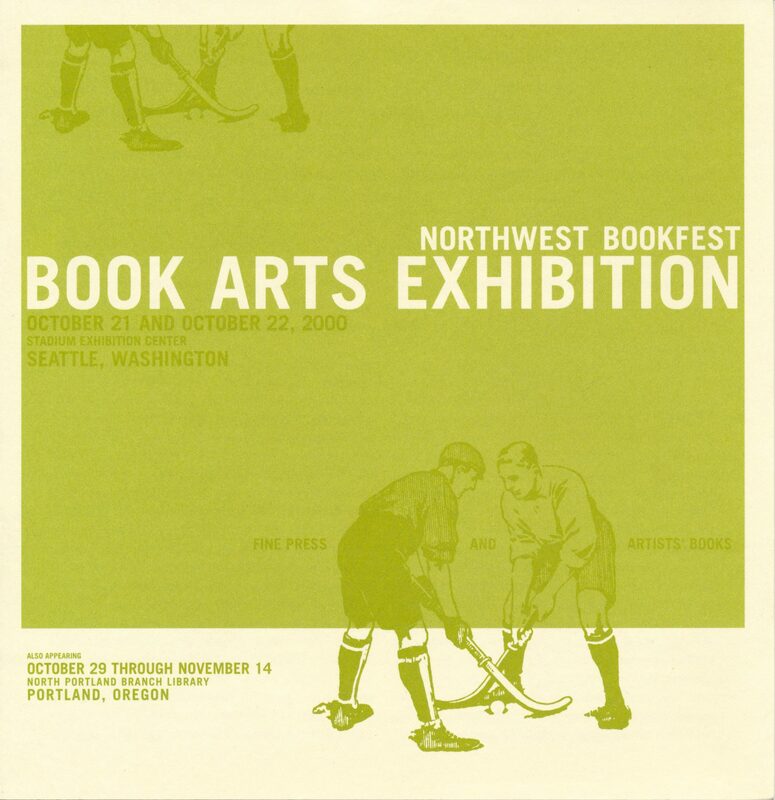 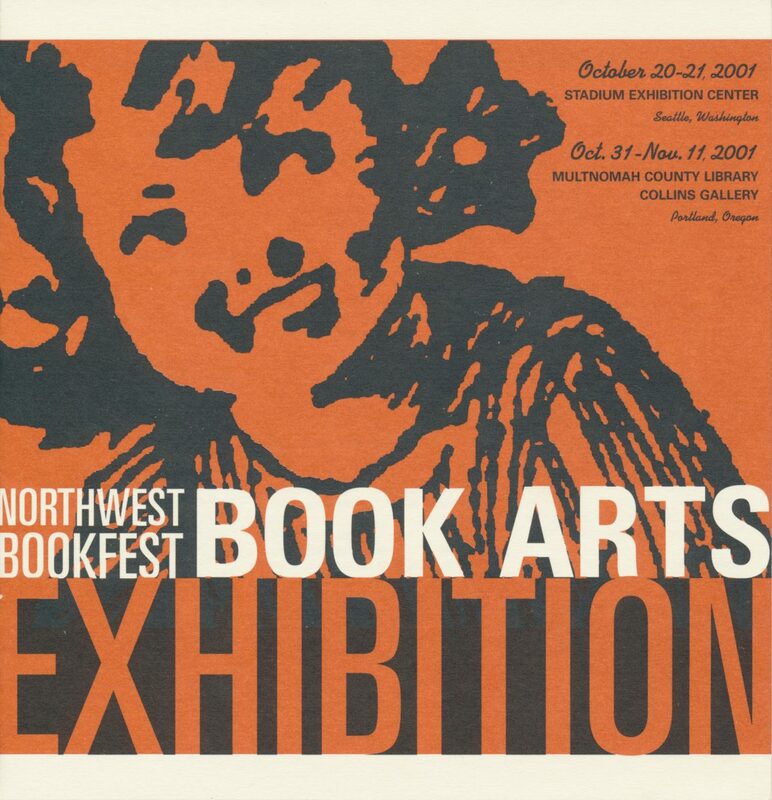 Northwest Bookfest’s Book Arts Exhibition is an annual juried show that features the work of artists from the west coast region. 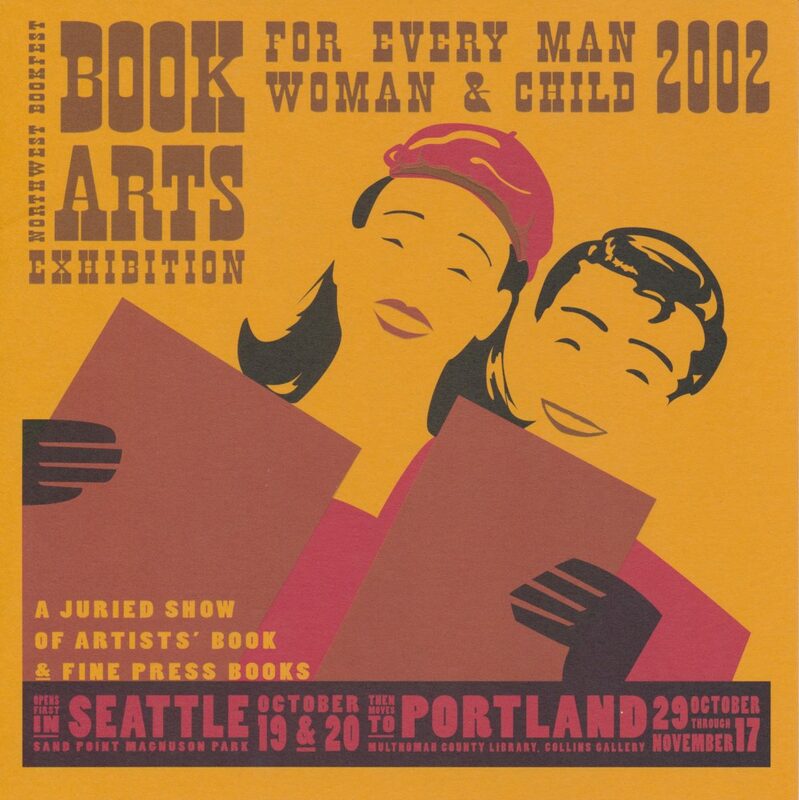 This catalog for the 6th annual event — a double-sided, 3-panel gate fold — documents the art and artists featured in this Seattle-based show. The catalog’s front cover is shown above.